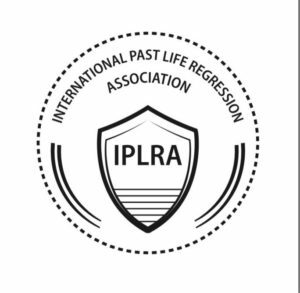 Spiritual Hypnosis/ Hypnotherapy: in Past Life Regression Therapy and Analysis and Life beyond Life Regression. 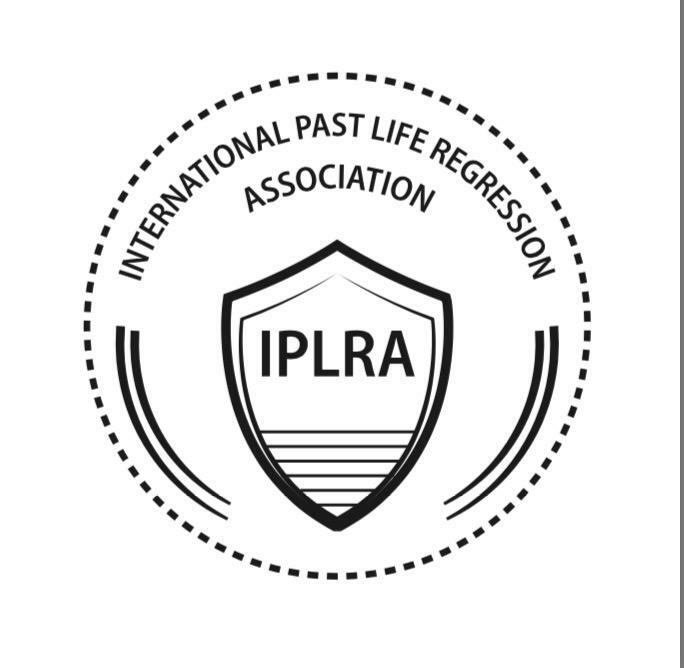 Dr. Elena Gabor is a certified Hypnosis Instructor for the National Guild of Hypnotists, the president of International Past Life Regression Therapy Association (I.P.L.R.T.A) and the president of European Association of Medical Hypnotherapy and Subconscious Therapy (A.E.H.M). 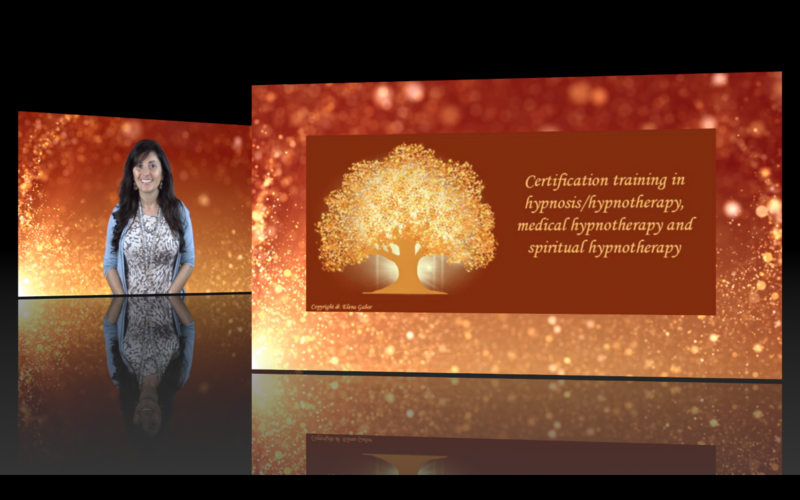 Dr. Gabor is a hypnosis trainer for all three organizations and the graduates receive certificates from them. The training program that Dr. Gabor is teaching is educational and experiential, with tens of case studies, hypnotherapy and regression sessions in audio format, video demonstrations and supervised practice on clients. The certification training is taught in the U. S., in Los Angeles, as well as in Europe, during the summer. THE ONLINE TRAINING contains the entire course material in video, audio and pdf format. The online training could be studied anytime. The in-person practical training is not mandatory if the online material is thoroughly studied. Students who choose to take only the online training, receive 10 hours of private theoretical and practical training with Dr. Elena Gabor via Skype or Facetime. Students are awarded the certificates after an evaluation of their knowledge and skills. TUITION FEE for full training is $2,495 (tax-deductible). For the online training the full tuition has to be payed before class. For the in-person full training program students can pay a $495 deposit to reserve their space and balance due before class. For students who would like to get in-person training, daily schedule is from 9 AM to 6 PM with 1 hour lunch break. The training takes place at The Gardens, 2001 S. Barrington Ave., suite 204, Los Angeles, CA, 90025. -Nov 2, 3, 9, 10. Please email to Dr. Elena Gabor at drelenagabor@yahoo.com to discuss whether or not you have previous training in hypnosis/hypnotherapy, to determine the training program that would fit best. Dates: March 30, 31 and April 6, 7, 13, 2019 from 9 AM to 6 PM. Additional Optional practice April 1st and April 5th from 11 AM to 5 PM. BECOME A CERTIFIED HYPNOTHERAPIST/HYPNOTIST/CONSULTING HYPNOTIST! Upon successful completion of this internationally approved hypnosis/ hypnotherapy training of 100 Hours Classroom Education, you become a Certified Hypnotherapist/ Hypnotist/ Consulting Hypnotist and a Member of the National Guild of Hypnotists (NGH). The European students will also receive certificates in Hypnosis/Hypnotherapy, Medical Hypnosis/Hypnotherapy, Past Life Regression Therapy and Life beyond Life Regression from European Association of Medical Hypnotherapy and Subconscious Therapy (A.E.H.M.). TUITION FEE is $2,495 (tax-deductible). Medical doctors, psychologists, students in medicine and psychology, alternative healing practitioners as well as anyone else who would like to practice hypnosis/hypnotherapy, spiritual hypnotherapy (past life regression therapy and analysis and life between lives regression) or hypnosis/hypnotherapy for personal development could apply for this certification training. Students from other countries should check the legislation of the country they would like to practice in. In most countries, personal development and spiritual hypnosis/ hypnotherapy practitioners are not required to have medical or psychology license or background. Worldwide, hypnosis and hypnotherapy are regarded as part of the spectrum of alternative, holistic and complementary therapies. Part 5. Hypnotherapy for Overcoming Fears. Case Studies and Practice. • The Basis of Hypnosis for Fertility and Birthing. Part 12. Group Sessions and Workshops. Case Studies and Practice. Graduation Celebration. Dr. Elena Gabor is a hypnosis/ hypnotherapy instructor. She holds certifications in hypnotherapy, medical hypnotherapy, hypno-coaching, past life regression therapy and personal development coaching. Dr. Gabor has ten years experience in the field of hypnotherapy, working with clients and patients from all over the world and teaching certification programs in the United States and Europe. She is the author of “Home on the Tree of Life -An introduction to subconscious science” as well as of hypnotherapy, medical hypnotherapy and spiritual hypnotherapy manuals. 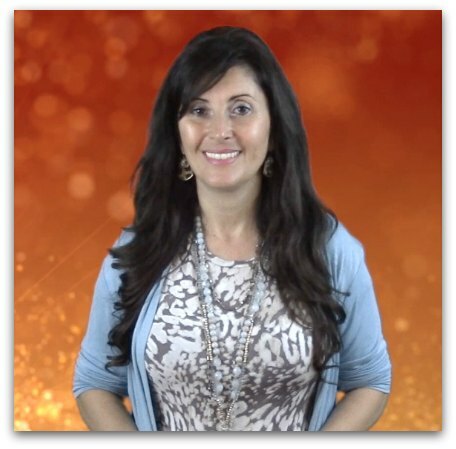 She teaches hypnotherapy programs under the auspices of National Guild of Hypnotists (N.G.H), International Past Life Regression Therapy Association (I.P.L.R.T.A) and European Association of Medical Hypnotherapy and Subconscious therapy (A.E.H.M). She is a European DMD and for the last 10 years has been practicing hypnotherapy in California.